Peak Reinsurance Company (Peak Re) has appointed Li Tao as chairman of its board of directors, as well as Chen Kaihong as executive director and Yuan Xi as non-executive director. The appointments took effect on July 27, and the three will serve as members of various board committees at Peak Re. Li is vice president at Fosun International and CEO of Fosun Insurance Group, parent company of Peak Re. Before being appointed chairman, he held a non-executive directorial position at the reinsurer. He has vast experience in managing financial lines, actuarial, investments, and overseas insurance businesses. Prior to joining Fosun International, he held several senior positions at China Taiping Insurance Group. He succeeds Wang Qunbin, who resigned as chairman of the board but remains as non-executive director and a board committee member of Peak Re. Chen is currently chief financial officer of Peak Re, overseeing the company’s financial and operational management. She has more than 18 years’ of accounting and financial experience in the re/insurance industry. Before joining Peak Re, she held several senior positions at major insurance organisations including at Lloyd’s Beijing representative office and at Swiss Re. Yuan serves as the chief financial officer of the Fosun Insurance Group, specialising in actuarial and risk management. Prior to joining Fosun International, she held several senior positions in various insurance and reinsurance companies. In addition, Guo Guangchang, chairman of Fosun International, has resigned as non-executive director of Peak Re. 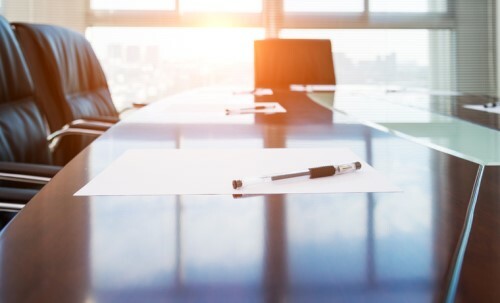 “After completing the first five years of successful operations at Peak Re, it is now an appropriate time to implement a major change in the board of directors,” said Peak Re CEO Franz Josef Hahn. “On behalf of the board, I would like to express my sincere thanks to Mr Guo who provided great support to Peak Re as non-executive director. Since the inception of Peak Re, he has been willing to listen to new ideas with an open mind. I truly appreciate and am grateful for Mr Guo’s foresight and courage to back the start of Peak Re and increasingly entrust more responsibilities to our board of directors and Peak Re’s management, following the success of the past few years.